Here at House of Oak, we believe the home should be a sanctuary, a relaxing space, and ultimately, a place where you love to spend your time. If you love your home as much as we do, you’ll understand our desire to provide you with the most charming, best-quality wooden furniture to adorn your house with. Our Monaco range has been created perfectly to compliment any bedroom. With a neutral, white finish and structured design, this range will not only modernise your room, but fill it with a lavish ambience that could only belong to the classiest of homeowners. Soft, pastel colours work best for creating the desired elegance and romance of a bedroom, which is everything our Provence Cream range exhumes. 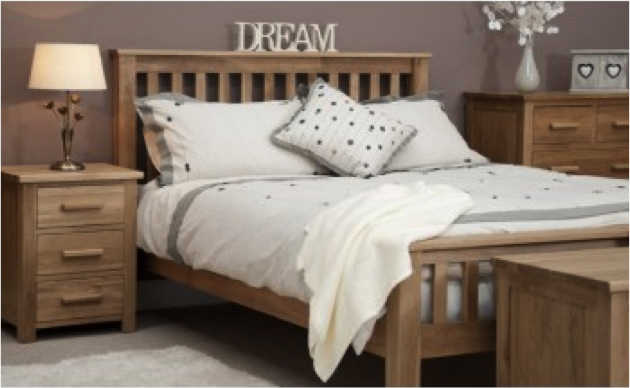 Working well with most colours, and a signature wood finish used on the top of the furniture, this range is a great way to update your bedroom whilst maintaining some traditional features. Adding a feminine touch to any bedroom, the subtle, light grey finish of this range is unique and would romanticise any room. Again, with a traditional wooden finish on the top of the furniture, an authenticity is maintained, creating a perfect medium for your bedroom design. Fill your heart with love by updating your home this February; after all, home is where the heart is. Have a look at our collections online, or pop into store where one of our friendly customer advisors will be on hand to help you with any queries.